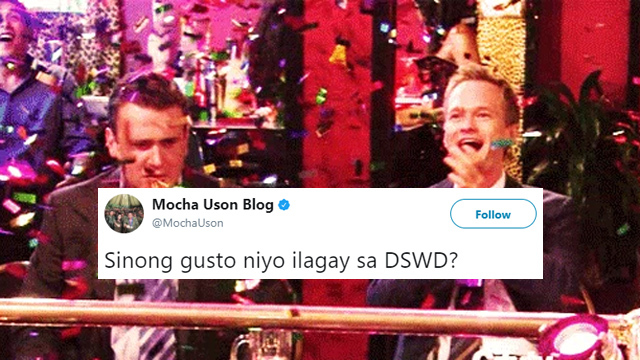 10 Funniest Definitions of "Fafda," the Philippines' "Covfefe"
(SPOT.ph) The Internet erupted in May 2017 after U.S. President Donald J. Trump tweeted a hurried post: "Despite the constant negative press covfefe." The apparent typo was deleted six hours later but not before people had fun on what it means. 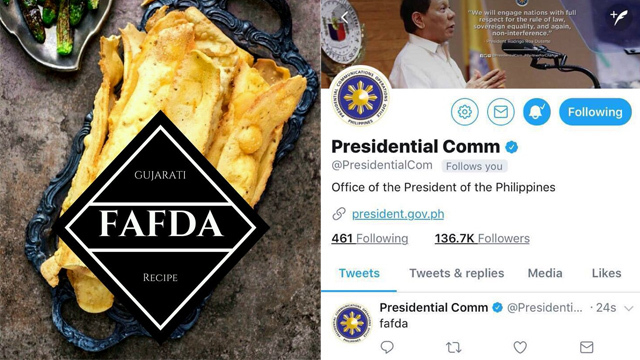 Fast forward to August 18, 1:07 p.m., the Philippine government—through the Twitter account of the Presidential Communications Operations Office—just published its own covfefe: Fafda. The post has been deleted since but like most things, nothing escapes the power of the screencap. What could it possibly mean? Expect the Internet to come up with the funniest interpretations.